Mary Telfair’s vision for a museum in Savannah likely evolved over a period of years or decades. During her travels, Telfair learned of many other museums in America and abroad, such as Italy’s Capitoline Museum in Rome and the Uffizi Gallery in Florence, which she visited with her sister Margaret Telfair Hodgson and brother-in-law William Brown Hodgson during their 1851 tour of Europe. Designed by Telfair staff, Mansion to Museum serves as an orientation gallery for everyone who visits the museum. Original objects associated with the Telfair family and early museum development, including paintings, sculpture, furniture and architectural elements, provide a visual connection to the story. 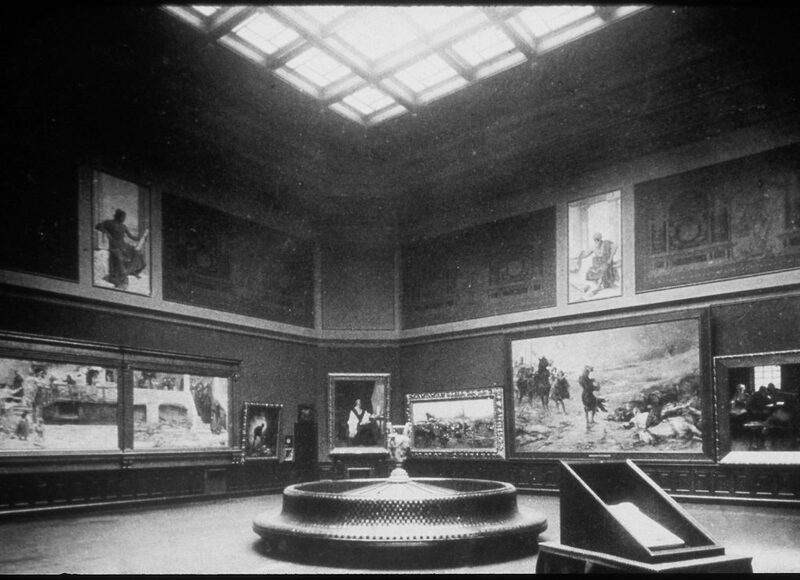 More broadly, Mansion to Museum provides context to the visitor, with regard to the museum phenomenon in the late-nineteenth century when American museums such as the Metropolitan Museum of Art (1870) and the Museum of Fine Arts in both Boston (1870) and Philadelphia (1876) first opened. 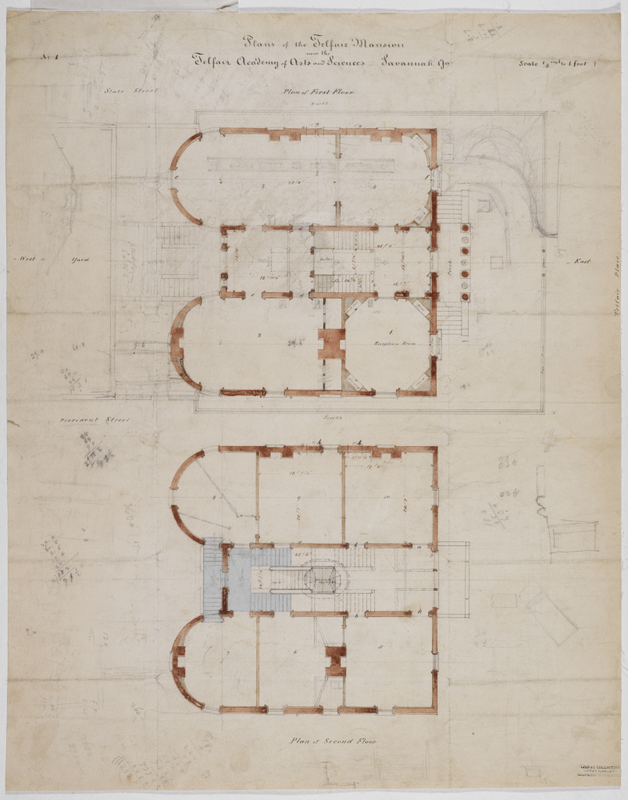 Architectural drawing from the Mansion to Museum conversion.